The Africa Federation Capacity Building Group in collaboration with Africa Youth Network and KSI Jamaat Mombasa hosted the 12th Leadership Development Programme (LDP) from 6th to 9th December 2018 in Mombasa, Kenya. LDP is a dynamic and interactive programme that addresses important personal, family, work and social matters with Islamic values and principles as its central focus. It gives participants an insight into various leadership, interactive and temperament styles and how to enhance and evolve their skills ensuring more productivity and efficient working methods. Moreover, it enables participants to appreciate and value the differences in each other. Over the years LDP has inspired young men and women to realize their potential and encouraged them to be actively involved in community projects. 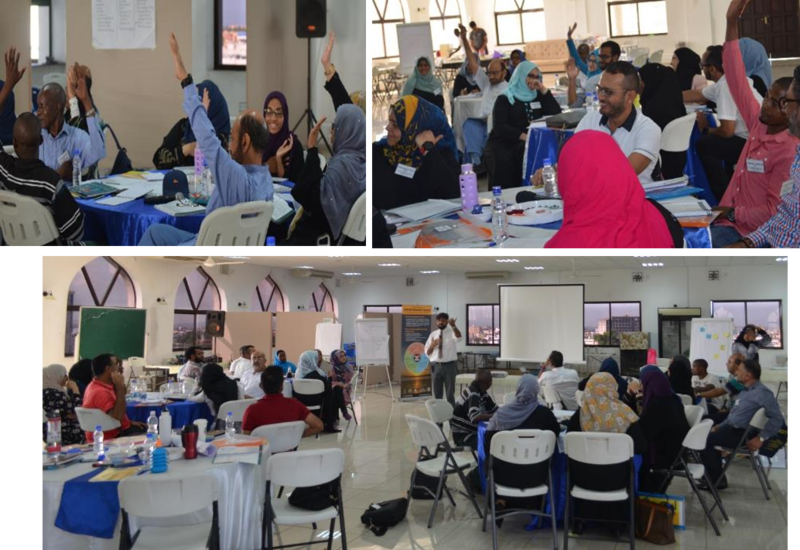 The LDP in Mombasa, held at the Jaffery Islamic Centre was attended by twenty-six participants and facilitated by CBG facilitators – Br. Shabbirhussein Khalfan, Sr. Shama Dewji, Sr. Maria Pattinson from UK and supported by Br. Inayat Abbas Firdousi, Br. Minhas Tejani, Sr. Tahera Shivji, Sr. Sophia Bharwani and Sr. Sidika Hirji; who recently attended the Facilitator Development Programme (FDP) in Arusha and are now shadowing the CBG Facilitators to reinforce their skills. The LDP workshop held over 4 days was an eye opener for participants who rediscovered themselves and made forays in paths less travelled-thinking out of the box. The participants broadened their horizons drawing from past experiences of their colleagues and facilitators to build a stronger ME and work more efficiently using new resources and realize their potential. The end of day 4 was met with enthusiastic testimonials from the participants highlighting what they took away from this course and how it would impact their life followed by a certification ceremony attended by prominent members of Mombasa Jamaat. Surah Rahman 55th chapter Ayat 13 – WHICH THEN OF GOD’s FAVOURS WILL YOU DENY? The AFED Capacity Building Group (CBG) wishes to accord its utmost gratitude and appreciation to the Chairman and Managing Committee of Mombasa Jamaat for hosting and availing facilities for the Leadership programme, the entire board of AYN for their time, energy and resources in organizing the logistics. Moreover, thank you to all the volunteers for their tireless efforts in ensuring the success of the programme. We also extend our appreciation to the Africa Federation Office Bearers and Secretariat for their guidance, support and backing of all CBG programmes. Our heartfelt Thank you to each and every participant who took time off from their busy schedules to further their personal and future development.